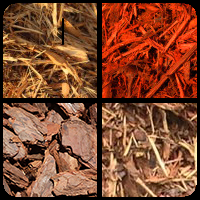 March 7 – Receive mulch order packets at school. Make sure the form is completely filled out, especially your name so you get credit. Remind customers to put your name in the box when they checkout online. Time to sign up for SPRING MULCH!!! We really need your help with our biggest fundraiser of the year, the mulch sale. This is our best chance to raise money for the entire band! Selling 30 bags of mulch equals roughly 1 point – so this is a great way to knock all of your required points out! Order form packets will be distributed at the canvassing opportunities this weekend and on Monday at school. We expect to have all band members (instruments & guard) to participate! Parents are also needed to drive the kids to neighborhoods to canvass door to door (3+ kids/car). Parent drivers need to bring an empty cooler in their car to keep water in. SIGN UP NOW ON CHARMS! !